CLEVELAND, Dec. 20, 2011 /PRNewswire/ -- The yonanas® frozen fruit dessert, a healthy treat with the look and feel of soft-serve ice cream and as little as 100 calories per serving, has been selected as one of 10 finalists for the 2012 Fruit Logistica Innovation Award recognizing the most significant new fresh fruit-related product or service from around the globe. The winner will be announced on February 10 at the Fruit Logistica trade fair in Berlin, based on a vote by more than 56,000 expected trade visitors from 125 countries. Now in its seventh year, the competition is sponsored by Messe Berline and Fruchthandel Magazine. Made from frozen bananas and other frozen fruit, each serving of yonanas is produced by the yonanas frozen treat machine created and manufactured by Healthy Foods, LLC. The company has partnered with Dole Food Company, Inc. (NYSE: DOLE), the world's largest producer and marketer of high-quality fruits and vegetables, to increase retail distribution of the yonanas machine for the home as well as accelerate the development of a new line of commercial yonanas makers to be used in restaurants, schools, hospitals, hotels and other venues. The two companies are also co-branding their products and teaming to encourage restaurants and other sites to add yonanas desserts to their menus. Healthy Foods will be exhibiting the yonanas machine and providing yonanas samples in the Dole booth at Fruit Logistica. "Nutritionists tell us that it's important to eat multiple servings of fruits and vegetables every day, but most people fall short. Our frozen treat maker provides a creative and appealing way for consumers to get more fruit into their diet, and that is why the industry is responding so positively," said Winston Breeden, CEO of Healthy Foods. "Being selected as a finalist in this competition is a strong endorsement of the quality of the product as well as its ability to help people live healthier lives." 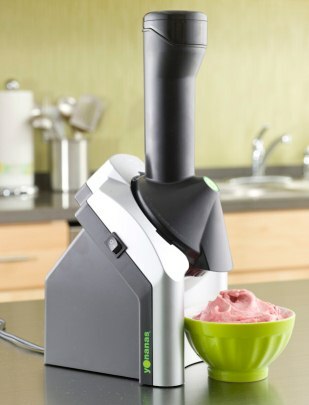 The yonanas machine is sold at major retailers including Target, Sears, Bed Bath & Beyond, K-mart, Sharper Image, and Amazon, as well as the Home Shopping Network, for $49.99. Launched in 2009 as a division of Winston Products, LLC, Healthy Foods, LLC, is a product development company based in Cleveland, OH. This high-growth company is dedicated to creating innovative products that allow people to live healthier lives. For more information, visit www.yonanas.com.